Ah my favourite thing...judging award season outfits. 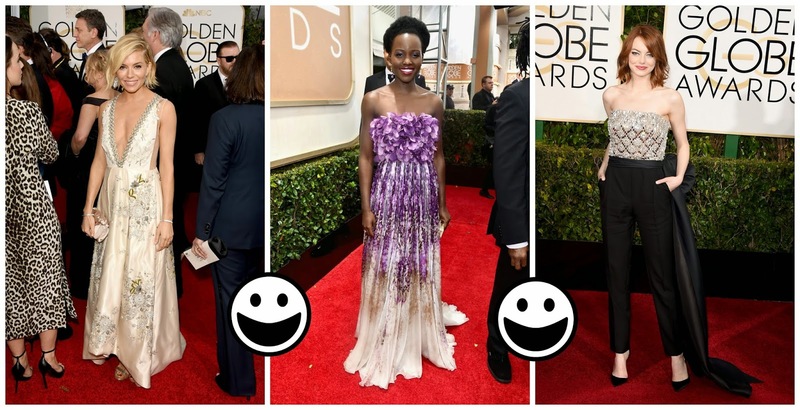 For the Golden Globes, I've categorised them into my loves, my likes, my disappointeds (def a word) complete with handy visual aid in the form of a smiley. Controversial but I don't like any of them! WAH. These celebs have access to the best designers in the world, I have no idea how some of them still get it so wrong! Yeah I hear ya - a tiny bit boring weren't they?